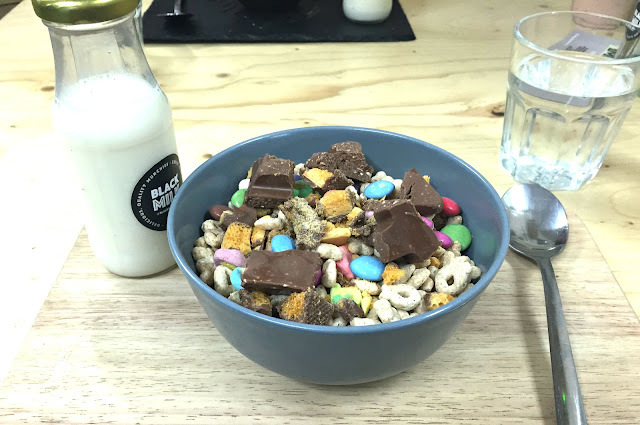 Last week one of my friends suggested us visiting the Black Milk Cereal Cafe, which is situated in Afflecks Palace, in the Northern Quarter part of Manchester city centre. To be honest I am not a huge cereal lover, I give and take Weetabix from time to time but that is about it. On the other hand, my friend who I went whether adores cereal and I knew she would truly love it when she suggested it. It is a very cute and cosy place, with just five tables. You can order bowls in single, double or triple size, and I opted for the double option as I wanted two different types of cereals. I choose mini chocolate Weetabix and Lucky Charms. They offer at least thirty different types of cereals for you to choose from. You can also choose any sauce of you choice, and the best bit of all as many toppings as you like. This was the bit which was most exciting I opted for Toblerone, Crunchie and Smarties. You can also choose what type of milk you would like, I was boring and went for normal milk. But there are many different types of milk available including strawberry, chocolate and almond. My friend choose a chocolate bowl, which is self explanatory - the bowl is made out of chocolate. I didn't think I was going to able to eat that as well as everything else which I had ordered. 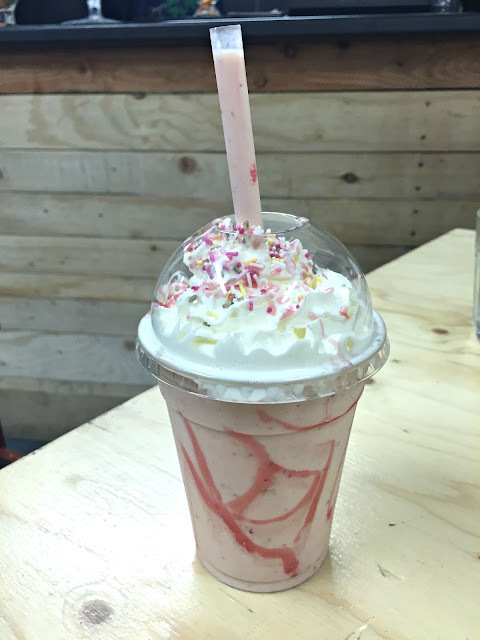 On to the milkshakes, which were simply exceptional. I choose the strawberry, with cream and sprinkles which is my ultimate favourite. He offered us the milkshake of the day which was strawberry and nutella which my friend opted for, but I am really not a nutella fan at all. They were so delicious yet so filling. By the time my cereal had arrived, I had already drank half of my milkshake which was a bad move. I started to delve into my cereal bowl, and instantly realised I had over ordered. I did not expect the bowl to be quite that large. It tasted really nice though, which was a surprise to my non-loving cereal self. I actually really enjoyed the mix of everything which I choose, but the Toblerone differently filled me up. I unfortunately only managed to eat about 1/2 a bowl, as I was absolutely stuffed. I was disappointed with myself, but I made sure there was no chocolate left in the bowl! Now eating the chocolate bowl was a serious challenge for my friend, and unfortunately she did not manage very much of it. It did cost me £8 for my milkshake and cereal which I know is not cheap, but you are paying for the novelty of the idea. I really enjoyed the experience of going, and it a great cosy place to catch up with your friends. 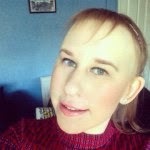 For more inspiration I suggest you follow their Instagram page here. 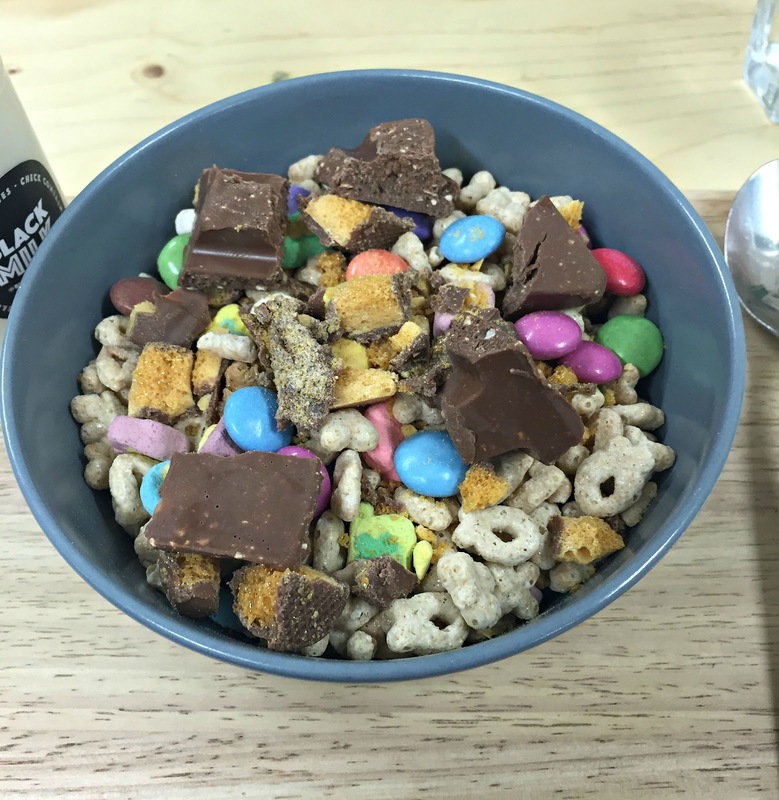 Do you fancy visiting the Black Milk Cereal Cafe?